Discussion in 'Mac App Store Games' started by darkhorse, Sep 27, 2012. 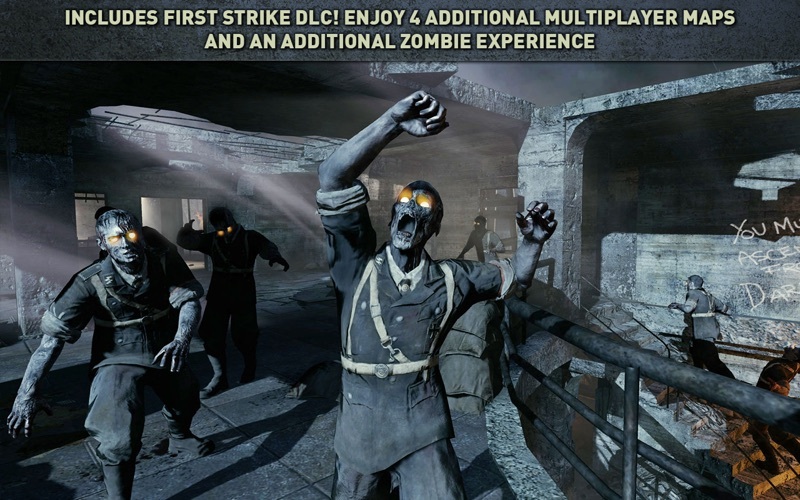 Call of Duty: Black Ops includes the "First Strike" DLC! Enjoy 4 additional multiplayer maps and an additional zombie experience. Play the Rezurrection DLC, available via in-app purchase, offering 4 re-mastered levels of spooky Zombie lore, plus an all new Moon level! 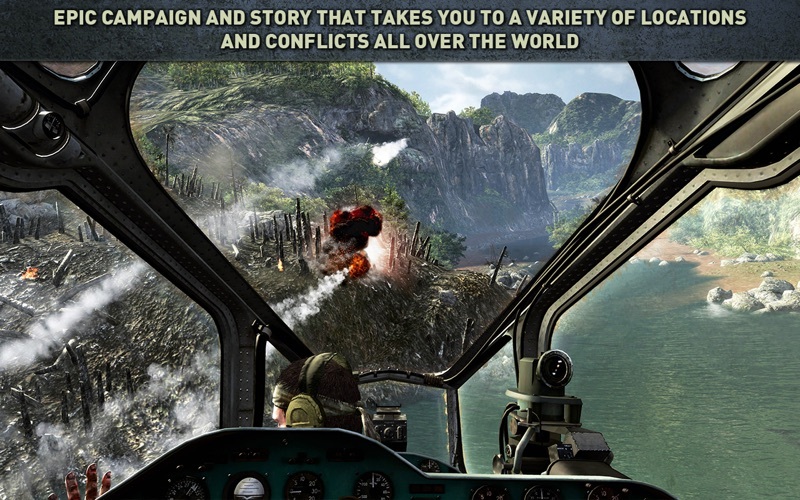 Call of Duty: Black Ops for the Mac takes players to conflicts across the globe as elite Black Ops forces fight in the deniable operations and secret wars that occurred under the veil of the Cold War. The included First Strike DLC gives you 5 additional incredibly diverse maps, including 4 new multiplayer maps and a chilling new Zombie experience. 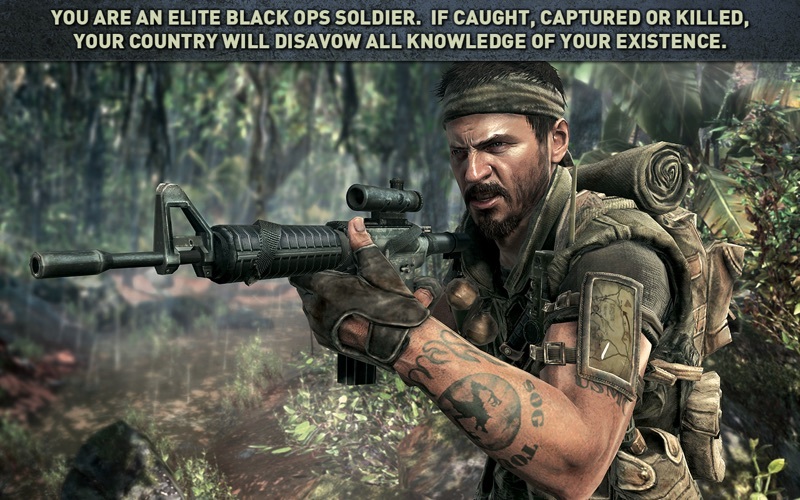 Call of Duty: Black Ops features an epic single-player campaign, an incredibly deep Mac-to-Mac multiplayer experience and expanded co-op gameplay. ● ADDITIONAL INFORMATION ABOUT CALL OF DUTY: BLACK OPS ● We do NOT recommend that you play Call of Duty: Black Ops on any of the following unsupported graphic chipsets: HD3000 (2011 Mac Mini, 2011 MacBook Air, 2011 13” MacBook Pro) HD4000 (2012 13” MacBook Pro) ATI Radeon HD 2000 series, HD 4670, HD 6490M, HD6630M NVIDIA 8000 & 9000 series, GT100 series, 320M, 330M Intel Integrated GMA950, x3100 ● Please Check System Requirements Prior to Purchasing. ● In order to run the game with satisfactory performance, your Mac must meet these minimum system requirements: 2.4 GHz CPU Speed | 4 GB RAM | 15 GB free disk space | (ATI): Radeon HD 3870 | 512 MB VRam Call of Duty: Black Ops supports both the Microsoft Xbox 360 wired gamepad AND the PlayStation 3 Dualshock 3 Wireless Controller NOTICE: We have created default settings for the most optimal experience on the Mac. WE HIGHLY RECOMMEND DEFAULT SETTINGS FOR THE BEST PLAY PERFORMANCE NOTICE: Call of Duty: Black Ops is a VERY large file size. Please be patient when downloading. 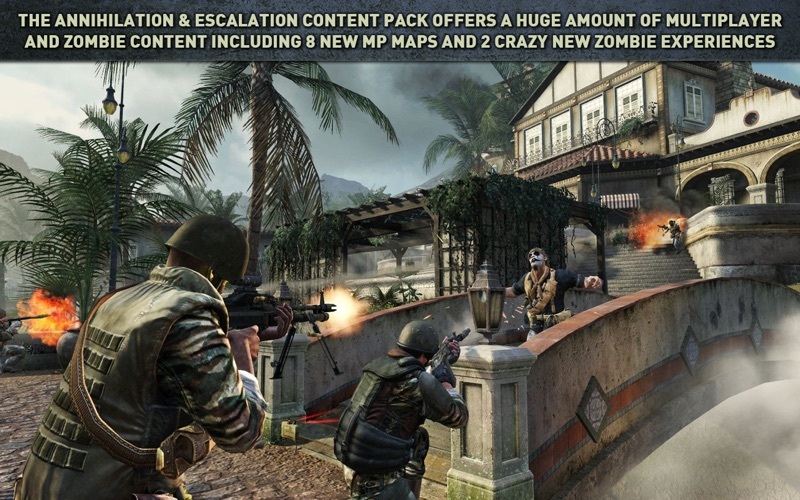 NOTICE: Internet connection required for Multiplayer and Zombies NOTICE: 10.7 and above required for In-App Purchases © 2010-2017 Activision Publishing, Inc. ACTIVISION, CALL OF DUTY and CALL OF DUTY BLACK OPS are trademarks of Activision Publishing, Inc. The ratings icon is a registered trademark of the Entertainment Software Association. This product contains software technology licensed from Id Software (”Id Technology”). Id Technology ©1999-2017 Id Software, Inc. Published and distributed by Aspyr Media, Inc. “Aspyr” and the Aspyr “star” logo are federally registered trademarks of Aspyr Media, Inc. Aspyr makes no guarantees regarding the availability of online play, and may modify or discontinue online service in its discretion without notice, including for example, ceasing online service for economic reasons due to a limited number of players continuing to make use of the service over time. Mac and the Mac logo are trademarks of Apple Computer, Inc., registered in the U.S. and other countries. The ratings icon is a trademark of the Entertainment Software Association. All other marks and trademarks are the property of their respective owners. All rights reserved. ________________________________________________________________________ BE THE FIRST TO KNOW! Get the latest Aspyr news, get insider information, deals and more… SURF US: http://aspyr.com LIKE US: http://facebook.com/aspyrmedia FOLLOW US: http://twitter.com/aspyrmedia Thank you for playing Call of Duty: Black Ops from Aspyr! What? I can't see anything but appinfo processing... Is this a real CoD BOPS(doubt it)? Even though my HD6490M graphics card isn't "supported", the game still ran just fine. Only thing I did was bump the resolution up. This and COD: 4 are the only games I've played in the whole series. I really only bought this just to experience "Zombies". Unfortunately the Mac community is kinda dead at least in zombie mode and we can't connect to Windows players sadly. wow I live this game ! Zombies look great in this game, i's scary. Creating ideas for future gaming. And this is why us gamers buy PC's, children. Around 65 bucks. 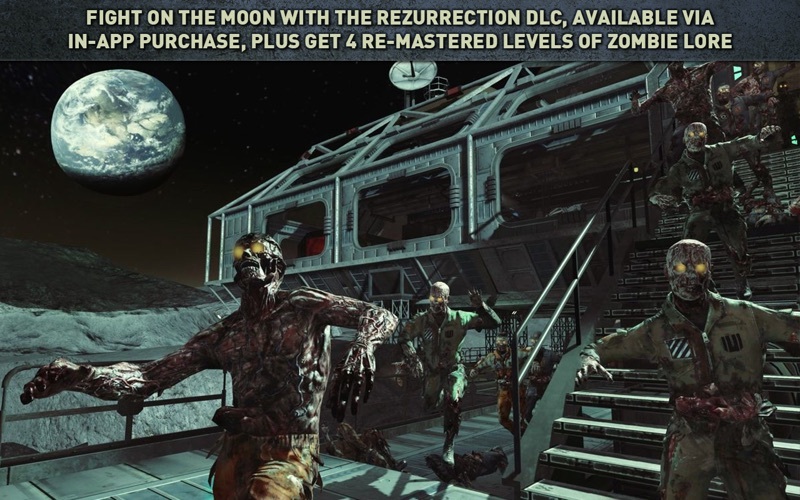 The dlc includes 5 Zombie maps, 4 from COD: WAW and a new one called "Moon". The game already has 4 Zombie maps included w/o DLC. Annihilation and Escalation DLC now available as in app purchase. i love CoD even on ipad.. Anyone playing ona 2010 MBP using the GT330m? Does it run OK? It runs on the Late 2009 MBP using 9400m. Graphics are around COD 4 in other words Medium-low custom settings. It crashes after some missions not sure why. COD Black Ops is good but I would like to see Black Ops 2 on there as soon as possible.